Andrea has been smitten with this book ever since it was released. 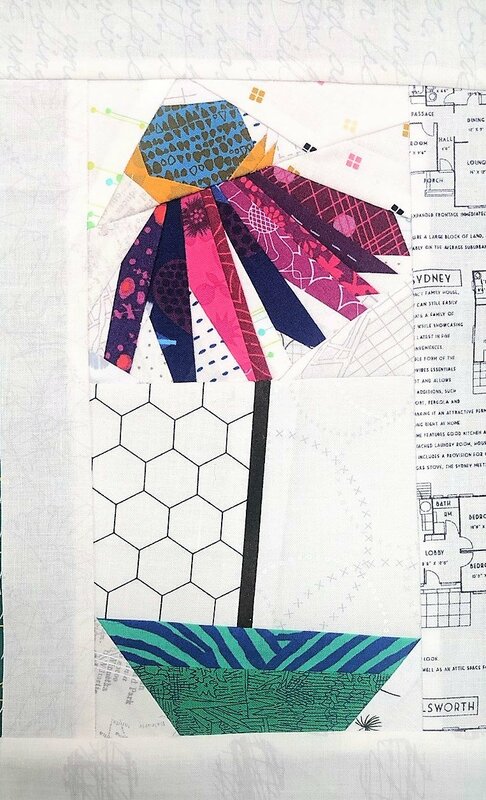 So much that she will be teaching a class on the cone flower block from the plant lady collection AND the Jungle View quilt. In this course you’ll learn how to take your quilting to the next level using paper piecing techniques. Grab your copy and get ready to fall in love with the following projects. Cone Flower: This is a great class to take if you’re interested in learning how to paper piece. You will get the basics and leave with a completed cone flower with perfect points.